Note: In Acrolinx for Arbortext Editor - Classic Edition version 4.7, a lot of the icons changed their look. You'll still see the old icons in this guide, but don't worry, their layout and functionality haven't changed. To activate the Acrolinx commands, click the buttons in the Acrolinx group under the Review ribbon tab. Right-click on the Review ribbon and use the Microsoft Word options to customize the ribbon if you want to disable the Acrolinx group. You cannot use the Batch Checking feature. Text containing hyperlinks is always extracted as read-only and thus cannot be corrected inline. The SEO checking option is not available. The Advanced tab in the Acrolinx options is not available. Filter settings are not available when editing plain text emails. The standard Microsoft spelling checker is disabled when checking with Acrolinx. 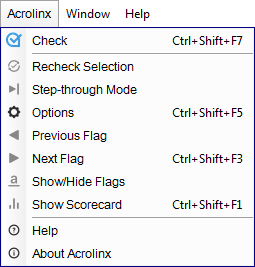 To use the Microsoft spelling checker instead of Acrolinx, hide all Acrolinx flags first. To activate the Acrolinx commands in Outlook, click the buttons in the Acrolinx group under the Review ribbon tab. You can select the items in the Acrolinx menu to activate the Acrolinx commands. The Acrolinx menu is in the Arbortext Editor menu bar. You can click the buttons in the Acrolinx toolbar to activate the Acrolinx commands. The Acrolinx toolbar is included with the standard Arbortext Editor toolbars. The Acrolinx menu is in the Oxygen Author menu bar. You can click the buttons in the Acrolinx toolbar to activate the Acrolinx commands. 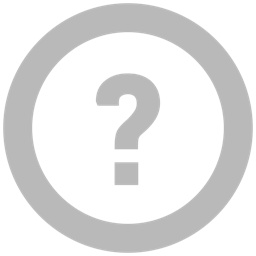 The Acrolinx toolbar is included with the standard Oxygen Author toolbars. The Acrolinx menu is in the XMetaL menu bar. You can click the buttons in the Acrolinx toolbar to activate the Acrolinx commands. The Acrolinx toolbar is included with the standard XMetaL toolbars. The Acrolinx menu is in the Lotus Notes menu bar. You can click the buttons in the Acrolinx toolbar to activate the Acrolinx commands. The Acrolinx toolbar is included with the standard Lotus Notes toolbars. 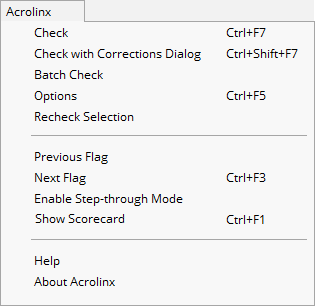 The Acrolinx menu is available when you right-click the Acrolinx icon in your notification area (system tray). Check Clipboard Contents Check the contents of the Windows clipboard with the current settings. 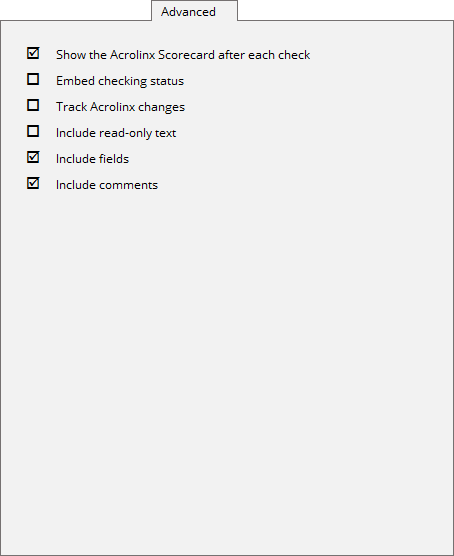 Show Scorecard Check a specific field and review potential issues in the Acrolinx corrections dialog box. Options Specify checking options before checking text. Show Acrolinx Scorecard after Each Check Show the Acrolinx Scorecard after a check has completed. You might turn this off if you're checking small sections of text in quick succession. It can get a little annoying when you have to click the Scorecard away each time. If you enable the option Check Automatically When Copying Text , you'll most certainly want to switch this off. Otherwise, the Scorecard will appear whenever you copy something. Start Automatically When Starting Windows Start the Acrolinx Desktop Checker automatically when Windows starts. Check Automatically When Copying Text Automatically check the clipboard contents every time you copy text to the clipboard. Help See the Acrolinx Desktop Checker help. About Acrolinx Desktop Checker See information about the version of the Acrolinx Desktop Checker that you are using. Exit Close the Acrolinx Desktop Checker. 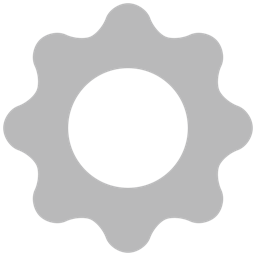 You might close the Acrolinx Desktop Checker temporarily when you install another Acrolinx plug-in. Most Acrolinx plug-in installers require you to close all Acrolinx plug-ins before the installation can start. The Acrolinx Desktop Checker icon in the notification area (system tray) changes depending on what task the Desktop Checker is performing. The Desktop Checker is on standby and is ready for checking. You can left-click the icon to start a check. The Desktop Checker is currently checking text or the corrections dialog box is still open. A check has successfully completed without issues or the corrections dialog box has been closed after reviewing flags. The Desktop Checker goes back on standby after you copy more text to the clipboard. The Desktop Checker is configured to automatically check the clipboard contents every time you copy text to the clipboard. You can activate the Acrolinx commands with from the Acrolinx menu, toolbar, or ribbon group depending on what editor you use. However, no matter what your editor, the Acrolinx commands are usually the same. In most editors, there's also a button for each command. Check Document Check the document with the current settings. Check Field Check a specific field and review potential issues in the Acrolinx corrections dialog box. Check with Corrections Dialog Check the document and review the issues in a dialog box. Batch Check Start a batch check of several documents inside a folder. Recheck Selection Check a selected part of a document without losing the flags from a previous check. Step-through Mode Step through the document, one flag at a time. Previous Flag See the previous flag in the document. Next Flag See the next flag in the document. Show/Hide Flags Show or hide Acrolinx flags in the document. Permanently Remove Flags Permanently remove all flags from the document. After selecting this option, you must run another check to see Acrolinx flags. You cannot show flags from a previous check. Show Scorecard See the Scorecard. Help See the Acrolinx User Guide . About Acrolinx See information about the version of the Acrolinx Plug-in for Microsoft Word that you are using. You can use keyboard shortcuts and accelerator keys to activate some of the Acrolinx commands and to move through the Acrolinx client interface. Accelerator keys can make it easier to work with menus and other commands. You can use accelerator keys with most Acrolinx menus and dialog boxes. You can show the accelerator keys by pressing the Alt key. If a letter is underlined in a menu, that usually means that pressing the underlined key will have the same effect as clicking that menu item. In the corrections dialog box, you press the Alt key in combination with the underlined key. Move to the next flag. 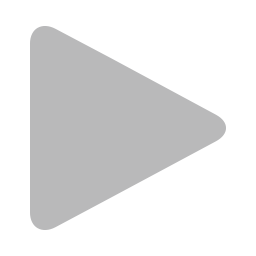 Ctrl+Tab and Ctrl+Shift+Tab Cycle forwards and backwards through the tabs in the Options window. Tab and Shift+Tab Move forwards and backwards through the controls on each tab. Space Enable or disable an option. Up and Down arrows Move up and down the available elements list on the filter and segmentation tabs. You select the first item in the available elements list by pressing Tab until the first item is highlighted. Ctrl+Number keys Select or deselect a radio button in the corresponding columns on the filter or segmentation tabs. For example, to select the radio button in the first column, press Ctrl+1. 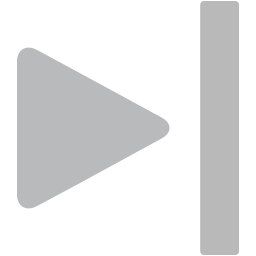 To deselect the radio button, press Ctrl+1 again or press Ctrl+0 to deselect all radio buttons in the row. Ctrl+Right arrow or Ctrl+Left arrow Move to the next or previous flag. Ctrl+Up arrow or Ctrl+Down arrow Move to the next or previous sentence. Tab and Shift+Tab Move forwards and backwards through the fields and buttons in the corrections dialog box. Ctrl+Tab Add a literal tab character to the Sentence field when the Sentence field is selected. 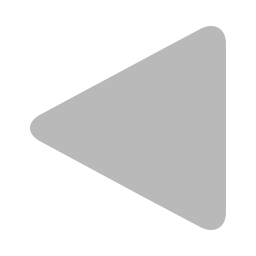 Alt+<ACCELERATOR_KEY> When the corrections dialog is open, press Alt together with an underlined accelerator key to focus on the relevant field or button. For example to enable or disable a flag type, press Alt + m to focus on the Remaining Flags section, then use the Tab key to move through the flag types and the space key to select or deselect a flag type. Ctrl+F3 Move to the next flag. 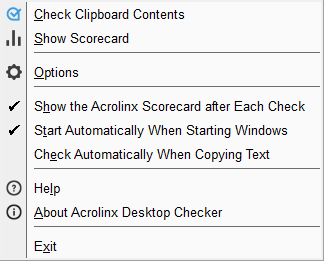 Ctrl+F1 Show the Acrolinx Scorecard. The shortcut menu appears when you click flagged text. To edit the flag, use the items in the shortcut menu. The menu items depend on the type of issue that Acrolinx flagged. Add to Dictionary You can add the text to one of several custom dictionary types so that it doesn't show up as a spelling issue again. You'll only see this option on spelling issues. You can select from one of the following dictionary types. Words in this dictionary are permitted in any document that you check. This dictionary is not used when other users run checks. Words in this dictionary are permitted when any user checks a document with the same name as the document you have open. Words in this dictionary are permitted when any user checks with the same writing guide that you have selected in the checking options. This dictionary is not used when checking with a different writing guide. This menu item is visible for spelling flags if you have the appropriate privileges. If your organization uses the Terminology Manager, you can contribute new terms to your terminology database from the shortcut menu or the corrections dialog box. To use this function you must select a writing guide with term harvesting enabled and activate the checking option New terms . The Acrolinx Server administrator configures the required properties and privileges for this feature. You must have the appropriate privileges to contribute terms. Edit all (If the flagged text has more than one issue) Edit a flagged text that has multiple issues. Edit Flag Remove the flag so that you can edit the text. Always use the Edit Flag command to edit text and make corrections. Do not edit flagged text directly. 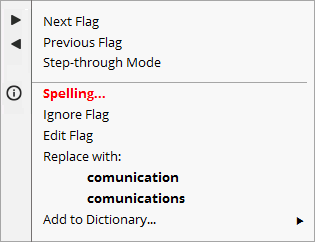 The Edit Flag command allows Acrolinx to remove flags from the document safely. Enable Step-through Mode Step through the document, one flag at a time. Automatically progress to the next flag after selecting an editing option from the shortcut menu. When you select this option, the shortcut menu is always displayed at the same position. Use the menu option to set the position on the screen where the shortcut menu appears. Ignore Flag Remove the flag without changing the text, and move to the next flag. Ignore in Whole Document Ignore all occurrences of the flagged text in the document. This feature is case-sensitive. If similar text strings in the document have a different case structure than the flagged text, Acrolinx does not ignore them. Ignore all (If the flagged text has more than one issue) Ignore all issues in the flagged text and move to the next flagged text. Replace with Replace the flagged text with one of the suggestions. Replace in Whole Document Replace all occurrences of the flagged text in the document with a suggested text. This feature is case-sensitive. If similar text strings in the document have a different case structure than the flagged text, Acrolinx does not replace them. This feature only works for spelling and terminology flags. Set Menu Position Set the position on the screen where the shortcut menu appears. Standards and Guidelines Open a web page that displays writing standards and guidelines that are specific to your organization. This menu item appears only after your server administrator has customized the standards and guidelines link. The corrections dialog opens after you run a check. 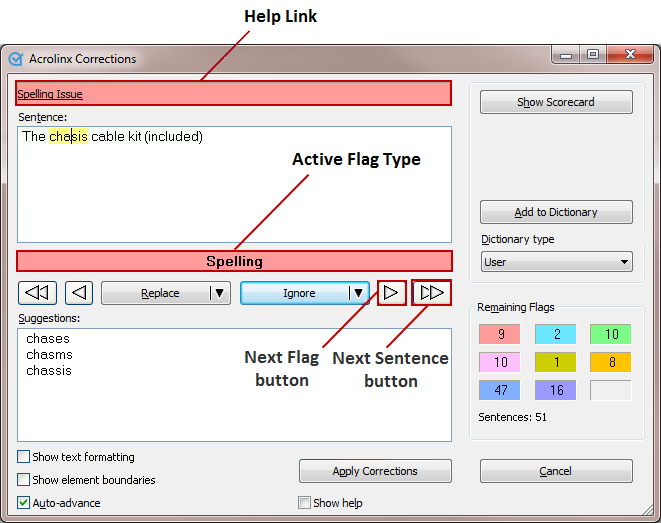 In the corrections dialog, Acrolinx marks parts of the text that possibly need corrections with flags . Help link Open help information for the issue in a web browser window. 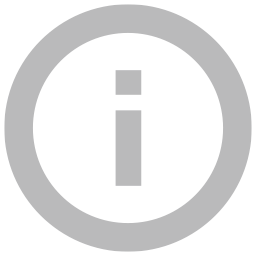 The number in parentheses indicates the number of times the specific issue occurs in the checked text. Sentence field View the sentence which contains the issue, and directly edit the flagged text. Active Flag type Switch between flags where there are multiple flags for one section of text. Show Scorecard button Open the Acrolinx Scorecard in a web browser window. Add to Dictionary button and Dictionary Type dropdown. Add a word which is flagged as a spelling issue to a custom dictionary. These controls are only active if you have the appropriate privileges. Ignore button and dropdown Remove the flag without changing the text, and move to the next flag. When Ignore is selected: Ignore the current flag. When Ignore Multiple Flags is selected: Ignore all flags on the selected text when the selected text has multiple flags. When Ignore in Whole Document is selected: Ignore all occurrences of the flagged text in the document or checked text. The Ignore in Whole Document feature is case-sensitive. This function doesn’t affect flags that have the same text but a different case structure to the flag that you have selected. Replace button and dropdown Replace the flagged text with the selected suggestion. When Replace is selected: Replace the current flag with the selected suggestion. When Replace in Whole Document is selected: Replace all occurrences of the flagged text in the document or checked text with the selected suggestion. The Replace in Whole Document feature is case-sensitive. This function doesn’t affect flags that have the same text but a different case structure to the flag that you have selected. This feature only works for spelling and terminology flags. Next and Previous Sentence buttons See the next or previous flagged sentence in the checked text. Next and Previous Flag buttons Select the next or previous flag in the sentence. Suggestions list Display the suggestions for the flagged issue and select a suggestion to replace the flagged text. Remaining Flags section View a running total of the remaining flags to be corrected. The colored boxes appear in the configured flag colors and display a running total of the remaining flags for each flag type. The remaining flags section also displays the number of remaining sentences that contain flags. Show text formatting option View the sentence with the original formatting used in the checked text. By default, the corrections dialog displays each sentence in plain text. If you manually edit the issue text, you can use this option to ensure that the formatting of the text is correct when you apply your corrections. Auto-advance option Automatically jump to the next sentence after you have corrected or ignored all flags in the current sentence. When the option is disabled, you must click the button to move to the next sentence. This option is enabled by default. Show Help checkbox Show help information for the issue within the corrections dialog window. Server address In the Server Settings window, type the server name in the Server address field or select your Acrolinx Server from the Server address dropdown list. Click the Test Connection button to ensure that the server address is correct and click OK . Connection Type In the Server Options window you can configure the method that the Acrolinx client software uses to connect to the Acrolinx Server. Connection Type > Direct connection (LAN) connect to the Acrolinx Server directly over your LAN connection. Connection Type > Use Windows Internet settings use the internet connection settings defined in the Windows control panel. If your network uses a Microsoft ISA server you must select this option. Connection Type > Custom proxy settings Manually enter settings for a connection which uses a proxy server. 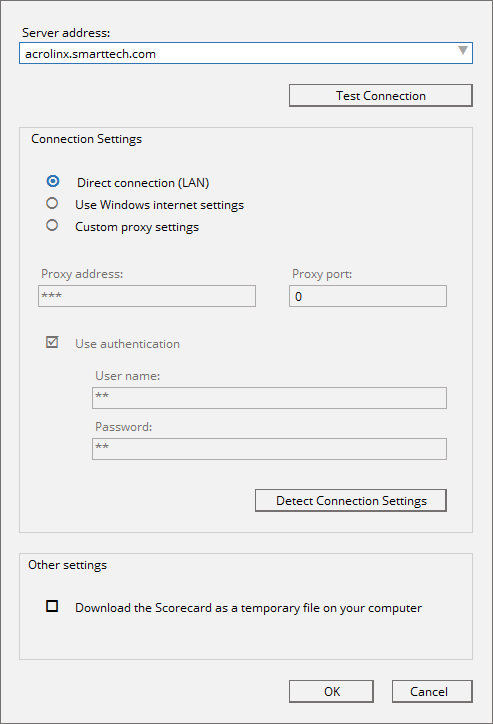 Use this option if your Windows Internet settings are not configured to use a proxy server, or the proxy server defined in your Windows Internet settings is different to the proxy server you use to connect to the Acrolinx Server. (Follow this step if you entered a custom proxy server which requires authentication) Select the Use authentication checkbox, and fill in the User name and Password fields. You can click Detect Connection Settings to have the plug-in automatically detect and select the most appropriate connection setting. This option can solve certain connection issues that might occur in proxy server setups, for example if you get the connection error message "HTTP error code 407". By default, Acrolinx Scorecards are stored on both the server and the client computer. However, in some networks Scorecards cannot be stored on the client computer. In these cases, you can download the Scorecard as a temporary file to the client computer which is deleted once the report is closed. The Scorecard is still stored on the server computer. The Download the Scorecard as a temporary file on your computer option is automatically deselected and disabled when you connect to a secure Acrolinx Server. The method that is used to download reports directly is not permitted over HTTPS. You can change the language of the text that appears in the Acrolinx user interface. Open the Acrolinx options and click the Plug-in tab. In the GUI language dropdown, select the language that you want to use and click OK . 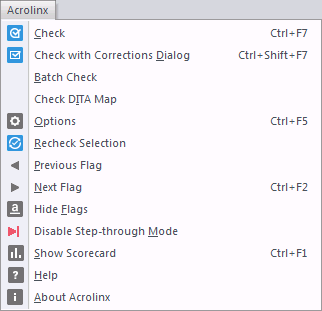 When the Acrolinx software is installed, the flag colors are already set. In the Flag Colors section, click the color box that displays the color that you want to change. In the Flag Color dialog box, select or define a new flag color, and click OK . The new color appears in the Flag Colors section. You can use the Reset button to restore the default flag colors. When you enable logging, several log files record all the actions that the Acrolinx client software performs. These log files are stored in your temp directory. You can open the temp directory by pasting the variable ​%​t​e​m​p​% into the Windows Explorer. However, if a standard user does not have permission to write to the temp directory in the "admin" account, the plug-in instead saves the log files to the temp directory of the user who is currently logged in. This fallback behavior means that the plug-in might not always display the correct location of the log files. If the plug-in options display a logging directory that is located in another user account and you cannot find the most recent log files, try looking in the temp directory of your user account instead. By default, the logging level is set to Normal . The Acrolinx support can advise you about alternative logging options when troubleshooting plug-in issues. The read-only Directory field displays the location of the log files. Go to the Plug-in tab. In the Logging level dropdown, select the item Disabled . If you change the logging behavior, you must restart Acrolinx. If you're using Acrolinx within an editor, close and restart that editor. If you use the Desktop Checker, close it from the notifcation area (system tray) and restart it. Show the Acrolinx Scorecard after each check After a check has completed, the Acrolinx Scorecard shows a summary of the checking results. You can also configure the plug-in to insert flags immediately after the check without displaying the Scorecard. You might disable the Scorecard if you check small fragments of text in quick succession and find the Scorecard disruptive to your workflow. 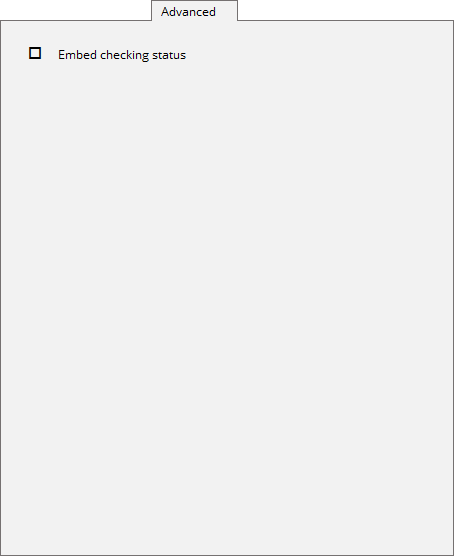 Embed the checking status When you embed the checking status into a Word document, it is stored as a document property. When you right-click on the document file name in Microsoft Explorer, you can see the checking status. Your documentation environment can track the status of the document throughout its life cycle. The Acrolinx Server administrator normally works with this function. To use the embedded checking status, your content management system must be configured correctly. If you are not sure whether to use this feature, ask your content management system administrator. Open the Acrolinx options and click the Advanced tab. Select the Embed checking status checkbox and click OK .
To view the document properties in Microsoft Word 2007: Click the Word Options icon, select Prepare > Properties , select Document Properties > Advanced Properties , in the dialog box that appears, select the Custom tab. To view the document properties in Microsoft Word 2010: Select File > Info , in the panel on the right, select Properties > Advanced Properties , in the dialog box that appears, select the Custom tab. 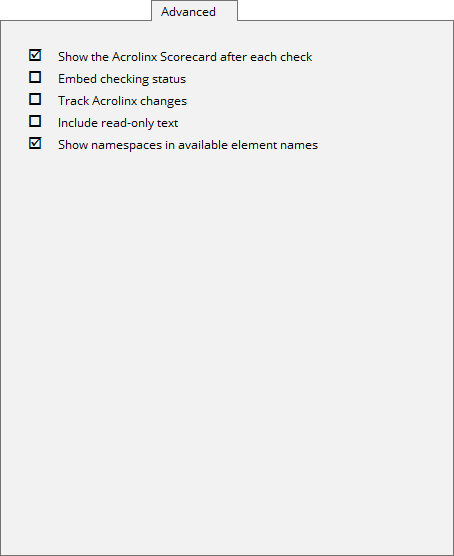 Track Acrolinx changes Set this option to track changes that Acrolinx makes when you review flagged text. For example, when you set the Track Acrolinx changes option, Microsoft Word tracks changes when you replace text in your document by selecting a suggestion from the flag shortcut menu or by applying corrections in the corrections dialog . When you use the corrections dialog box, the plug-in removes the whole sentence that contained the flag and inserts the corrected sentence. Microsoft Word marks the entire sentence that contained the flag as deleted. When you use the shortcut menu, the plug-in removes the flagged text and inserts the suggested text. Microsoft Word marks the text that was originally flagged as deleted. When you use the corrections dialog box, the plug-in removes the whole sentence that contained the flag and inserts the corrected sentence. Microsoft Word marks the entire sentence that contained the flag as deleted. Include read-only text for checking Read-only text is text in documents with active editing restrictions. An example of such text could be text in form fields and text that has been defined as read-only. You can check text that is marked as a revision but the flags are added with revision marking. This behavior is similar to editing flags with the option Track Acrolinx changes enabled. By default, read-only text is excluded from the check because issues in these elements cannot be corrected. You can include read-only text in a check so that issues in read-only text are listed in the Acrolinx Scorecard. For issues in read-only text, the Scorecard displays a padlock icon next to the detected issue. You must include read-only text if you use Acrolinx to check the validity of links in your content. When using the Acrolinx plug-in on Outlook, the option to include read-only text is not available. Instead, read-only text is always included. Fields in Microsoft Word are used as placeholders for data that might change in a document and for creating form letters and labels in mail-merge documents. By default, the Acrolinx Plug-in for Microsoft Word does not check text in fields because it takes longer to check document that contains fields than a document without fields. The duration of a check is increased because the plug-in must calculate the contents of each field before checking the text. You might include fields for checking if the fields in your documents are likely to contain information quality issues. For example, the fields in your document might contain entire sentences or words that are frequently misspelled. You can see all of the fields in your document by configuring Microsoft Word to show all of the fields with a shaded background. To show all fields with a shaded background, go to Word options > Advanced > Show document content > Field Shading > select Always . Include comments for checking You can configure the plug-in to include text in comment fields when checking a document. You might use this feature if you use comment fields to store proposals for how the text could be improved. You can ensure that the proposed text is checked before it is added to the body of the document. Comments are only checked when you check an entire document. When you embed the checking status into an XML document, a processing instruction containing the checking status is inserted. If you embed the checking status in a document that contains file entities, the checking status is always embedded in the parent document even if one or more file entities also contain a checking status. You can only embed the status values if you enabled the corresponding checking option. The plug-in can embed the status values for spelling, grammar, style, terminology, admitted terms and reuse. The following example shows a typical processing instruction. In this example, the checking options Spelling and Grammar were enabled but no grammar issues were found. 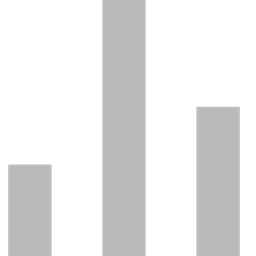 The values are identical to the information in the Acrolinx Scorecard. Your documentation environment tracks the status of the document throughout its life cycle. You can remove the checking status from the document by saving the document while the Embed Checking Status checkbox is deselected. For example, when you set the Track Acrolinx changes option, your editor tracks changes when you replace text in your document by selecting a suggestion from the flag shortcut menu or by applying corrections in the corrections dialog . When you use the corrections dialog box, the plug-in removes the whole sentence that contained the flag and inserts the corrected sentence. Your editor marks the entire sentence that contained the flag as deleted. The text that was originally flagged is marked as deleted. The entire sentence that contained the flag is marked as deleted. Read-only text is typically a fragment of text that is contained within an element that references another document. For example, text that is contained within cross-references, variables, XIncludes, file entities, or conrefs, is read-only text. Select the Include read-only text checkbox and click OK . When you open a schema-based document, the plug-in uses the information in the associated XSD (XML Schema Definition) to display the list of available elements in the Filter and Segmentation options. By default, the plug-in does not include namespaces in element names when displaying the list of available elements. However, documents that are based on an XSD can contain multiple elements that have the same name but belong to a different namespace. In the following example the element "number" belongs to two separate namespaces. To filter or segment the number element depending on the namespace, you must configure the plug-in to show the namespaces in the available elements list. Select the Show namespaces in available element names checkbox and click OK . When you reopen the options dialog box, the full element names are displayed including any namespaces. The element names are prefixed with the namespace name followed by a colon. If the full element name is too long to be displayed in the Available column, the namespace is automatically shortened. A double colon in the element name indicates that the namespace has been shortened. This option has no effect for documents that are based on a DTD (Document Type Definition).